First of all, let me just say that I continue to be amazing at the never-end carousel of crappy announcers that the Big 10 Network continues to roll out. Today's Idiot of the Day goes to Bob Wenzel, who time and time again convinced me that he spent a grand total of zero hours researching Purdue and Nebraska. I don't want to make any grand statements about how Wenzel and those of his ilk represent all that is wrong with the sports media, but Wenzel and those of his ilk represent all that is wrong with the sports media. Back to the game. This one had "letdown" written all over it. Purdue has been playing uneven halves since the Minnesota game, and Nebraska - though not technically a "good" team - has enough talent in Terran Petteway and Shavon Shields to put a scare in even the best of teams. And this game fell squarely in the "must-have" column; a win does little to move the needle for Purdue's NCAA Tournament chances, but a loss most certainly hurts them. The game started with that script playing out a little. Nebraska hit some early shots, which is not normal for them, got a little bit of a lead, and held on for a while. It took Purdue a bit to adjust to Nebraska's defense on Hammons; they aggressively doubled him whenever he got the ball, and for the first 10 minutes or show, Purdue's shooting (and spacing) wasn't good enough to hurt them for their aggressiveness. Whenever a team doubles a post player, your goal is to put a shooter on the same side of the court as your big, hoping to bait your opponent into using your shooter's defender as the extra defender, leaving the shooter open for a three. Or, if the double comes from a different location, you get the ball out of the post as soon as possible, and do a ball reversal to get the ball into the free shooter asap. 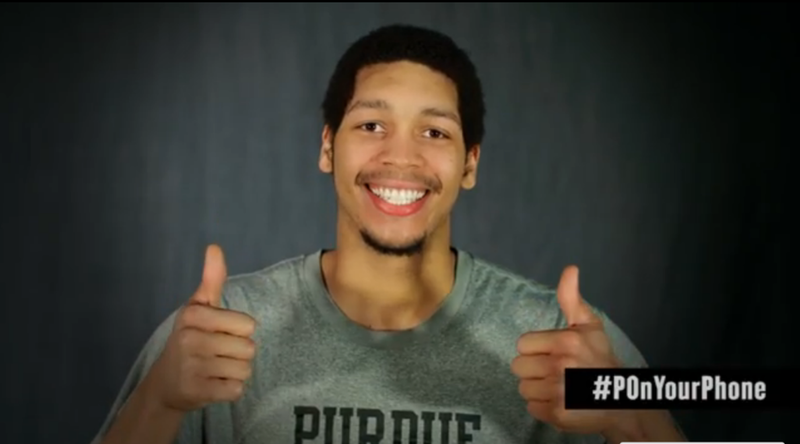 It took Purdue a while to get in to a rhythm with that, but they eventually adjusted. Pairing that with some tough defense (and poor shot selection) led to Purdue grabbing the lead with 7:29 to play in the first half, a lead they would never give up. A few noteworthy performances: Kendall Stephens had 12 points on 4-7 shooting (all 3-pointers). After airballing his first attempt, he seemed to settle down a bit and began shooting with confidence. His passing is still mind-bogglingly bad, but he's an impressive shooter. He requires no time at all to get his shot off, he's a threat all the way out to the NBA 3-point line, and his rise and form through the shot is perfect. If this game represents a break from the poor play he's been exhibiting lately, then that is a very, very good thing for Purdue. Ray Davis had six points and nine rebounds, and played lock-down defense on Terran Petteway all game. He has been Purdue's MVP this season, and a worthy contender for B1G Defensive Player of the Year. Also worthy of a shout out are Vince Edwards (15 and five) and Dakota Mathias (10 points, including two 3-pointers). Now the focus turns to the upcoming IU game in Bloomington. The Hall of Calls will surely be rocking Thursday, and that game represents one of the three remaining opportunities for Purdue to make a statement (the B1G Tournament notwithstanding). Purdue is squarely on the bubble still, with most projections, including the NCAA's own having them on the outside. Purdue will have chances to add one more big notch to their belt with aways games against IU, Ohio State, and Michigan State still to go. I think Purdue is going to put up a nice conference record, as they have a good chance to get 11 wins in the conference, which would be the first time they broke the 11 conference wins mark since 2011. 11-7 in the Big 10 conference would normally be more than enough to get in the NCAA Tournament, no questions asked, but this year is a little different. Purdue's non-conference, *ahem, "unevenness" is what's holding the Boilers back at this point. Winning against a name school like the aforementioned three, especially on the road, will go a long way to covering up those warts.